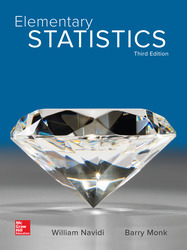 • Offers a strong balance of conceptual and procedural methodology for introductory statistics. • Centers around three themes: clarity, quality, and accuracy. • Features author-developed videos, supplements, and digital content to create a seamless transition from digital content to text. • Incorporates calculators, Minitab, and Excel screenshots.